A new series of portable USB hard drives arrived on Western Digital’s offer, with capacities going up to 320 GB. The new My Passport Essential Portable USB Drives was redesigned to complement WD’s popular My Book family of external drives. It has a footprint of 5.1" x 3.14" x .6" and weighs only 5 ounces. The 2.5-inch 5400 RPM hard drives range in capacity from 60-320 GB , are bus powered and are supposed to have a USB 2.0 transfer speed of 480 Mb/sec. The software features department includes 128-bit encryption, as well as the Google software suit: Google Desktop Search search tool, Picasa photo organizer software and Google Toolbar search bar. 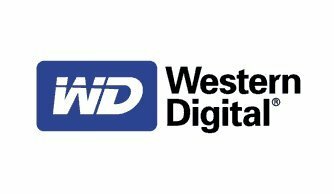 "The newly designed My Passport Essential drives are the perfect travel-friendly storage device to hold the rich media content generated by higher resolution photos and HD videos and music," said Jim Welsh, vice president and general manager of WD’s branded products group. "The desire to carry and keep their digital files close at hand continues to grow and this new drive offers a sleek and stylish solution with plenty of storage capacity for consumers on the move." At present time, the cheapest version in the line is the 80GB ($79.99), while the 320GB model retails for $229.99. Odd enough, the 60GB HDD is priced at $89.